In the event of death or “passing on” (knock on wood (or paper proxy)), it seems reasonable that “spirits” would make every effort possible to help, and assist their loved ones left behind. Unfortunately experience has shown that this is less of an investment providing tangible economic results and more an exercise in developing individual spirituality. In collecting tribal african art one is sure to find the crossroads of ancestor based historical, and colonial religious values. The main issues surrounding ancestor veneration stem from the fact that there are overlapping elements included in the concepts of “worship” and “idolatry”, and continued fallout based on historical characterizations, fueled by the unadulterated demonization (necromancy, zombies) of “other religions” by proponents of major religions. “I do not ask for their intervention … I ask and challenge myself that I can meet the standard or benchmark of their love and sacrifice, revealed to me in my own life. I do not ask that they go before me in my journeys, yet I continue to learn from the lessons they taught me. Teachings I may never totally grasp, yet with different circumstances I continue to find similarities in strengths, and weaknesses. As time passes, we mature, and face similar challenges. I have the benefit of witnessing the fights and struggles of my ancestors, and believe I benefit from lessons they took to heart from earlier ancestors, who learned and shared from their elders. I believe in the knowledge that is unique to those raised in my family. Ancestor veneration remains among many Africans, sometimes practiced alongside the later adopted religions of Christianity (as in Nigeria among the Igala) and Islam (among the different Mandé peoples and the Bamum) in much of the continent. This seems like the easiest concept to refute since an idolater is defined as a “worshiper of idols”. The “burden of proof” in refuting the issue of worship however lies not in the base definition of worship, but rather in the typical understanding of what constitutes a reasonable act of worship. Worship by definition is “an expression of reverence”, or “extravagant respect or devotion”. Using this low standard would pretty much cover any acknowledgement of an intermediary figure to a supreme being. The representation of this intermediary would itself constitute an act of idolatry and by extension members of every “other religion” would be categorized as idolaters. It would seem therefore that the act of idolatry can be more clearly, simply reduced to the worship of a manmade image, carving, or representative structure, which is thought to possess Godlike attributes, and powers. In the Catholic church for example, statues representing saints serve many functional purposes, but the substance and roles of intermediaries are arguably similar to the roles of Orisha used in the Yoruba spiritual system. Few if any African Tribal religions therefore can be seriously considered based, or rooted in idolatry. 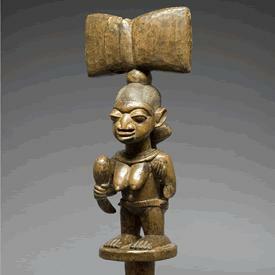 E1: Shango Dance Staff of a Standing Mother Carrying a Child. c. 1900. African ancestral veneration is not idolatrous because of the following three major reasons. 1) African ancestral veneration does not consist of the worshiping of lifeless images or eidōlon or idols of emptiness. Instead, it primarily consists of venerating, honouring and loving human life – the spirits of the dead – that still survive after its corporal death and continue to live and engage an enduring communion with their living relatives. This belief is also very fundamental in the Christian faith (cf. the dogma of communion of Saints). 2) African ancestral veneration is not of worshipping demons hiding in images – statues, paintings or sculptures – as often claimed by the early fathers of the Church when talking about the danger of idolatry. Instead, it is of veneration of the living spirits of the dead. They are not demons or evil spirits and are distinctly different from demons and evil spirits. 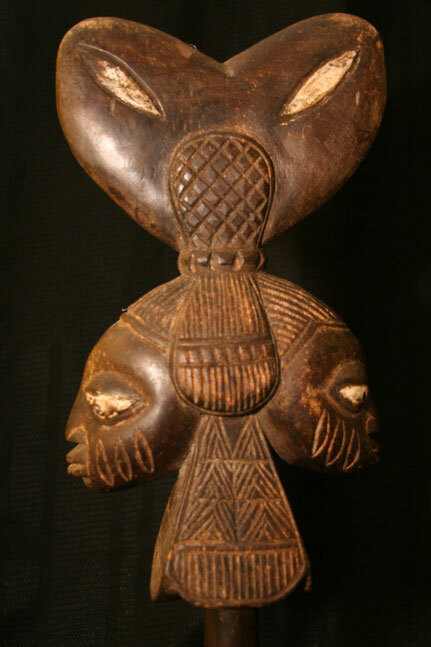 The carved images of ancestors – found in some traditional societies of Africa are not intended to be representational or abstract but conceptual and evocative. By means of stylized form and symbolic details, the ancestral carved image conveys the characteristics of the ancestors and helps to make the spiritual reality of the ancestors present among the living. Thus, the carved ancestral icon enables the world of the living community and the world of the ancestors to come together for the benefit of human life. 3) African ancestral veneration is not of the worshipping of creatures in place of God, since the living souls of the dead are never viewed, approached or treated as God. The horns of the mask ‘usually’ curve downwards; this could be associated with tranquility, or a state of peace and rest. The mouth is situated very close to the chin. West Africa, Gabon – to the North East near the border of the ‘Republic of the Congo’. The two major religions in the District are Christianity and Muslim. There are still pockets of the original animist beliefs, and ancestors are revered by many people. The Kwele people attribute unexplained tragedy of tribal sickness, and uncommon adversity to incidents of witchcraft. To counteract such occurrences the tribe enacts a Beete ritual. This ritual uses masked performances, and what is particularly interesting is that the ritual is used to “heat” the members of the tribe, in a metaphysical sense. The beete cult uses the ritual to maintain order, control, and pass along tribal values. This is a typical theme of Ritual, Values, and Norms (RVN). The Kwele are located close to the Fang, Mahongwe, and Kota. Each of these tribes are famous for their reliquaries. Five Areas of Common Tribal Heritage we never knew. Beyond the use of masks in festivals and masquerades there are several areas of African Tribal Art, and customs that form a common part of the heritage of the Diaspora. It is amazing that after hundreds of years there are commonalities and ties that have stood the test of both advances in technology, and concentrated attempts at indoctrination in different cultures. The Caribbean use of “Allyuh” and “you all” also bear traits of West African language. Standard English just has “you,” which acts as the 2nd person singular AND the 2nd person plural. African languages make a distinction between the plural ‘you’ and the singular ‘you’ so therefore the “all” is inserted “allyuh”, “you all” to mean more than one. The Bajan “wunna,” which means “you all” is a version of the Ibo pronoun “unna” which has a similar meaning. “Moomoo” a word meaning stupid, or dumb, and “booboo” meaning coal in the eyes are also African based words. “Anansi” likewise is a chief character of folk tales in the Gold Coast. “Jumbi” is a word from Angola meaning a ghost, an entity that returns from the dead. “Locho” is a Congo word meaning “cheap; mean; stingy” that has found its way to the Caribbean. “Tabanka” or its variant (without the nasal consonants “n or m”) “Tabaka,” is a Congo word meaning sold out or bought out completely. So from this we have the Caribbean word “tabanka/tabaka” meaning completely lost in love. “Tooloom” comes from the word “toolumuka” which means to drag oneself or to pull out teeth. The Caribbean word “Lahe” which mean “wutless” or “good for nothing” is based in the Congo word “laha” which means the same. “Kongori” can be found in a series of languages in Africa from Gabon to the interior, and the meaning is the same – a millipede. “Kaiso” among the Niger Delta peoples is a term that means “well done!” and so at the end of a “kaiso” or “calypso” it is very suitable to hear such an acclamation. “Dwen/Douen” is also an African word which refers to the soul of a child that has died. 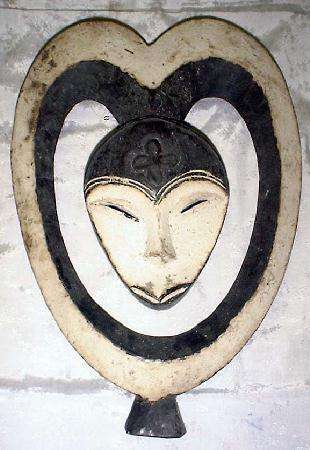 Bwoon Mask, Kuba Tribe - DRC : Famous Royal three way relationship! To compensate for not preserving the skull of a male ancestor, a family member must undergo a ceremony involving pouring libations into the ground. Dirt gathered from the spot then becomes a proxy representing the skull of the deceased. The tradition of sprinkling drops of liquor when a new bottle is opened may be derived from this. The tradition of “tin” is still an essential part of Dan culture. Young people strive to make a name for themselves by lavishly spending at community feasts to demonstrate their wealth – hence to be described as a “Dan” refers to someone who dresses well, and who shows himself to be ahead of others in the categories of wealth or social prominence. The Anansi tales are believed to have originated from the Ashanti tribe in Ghana. 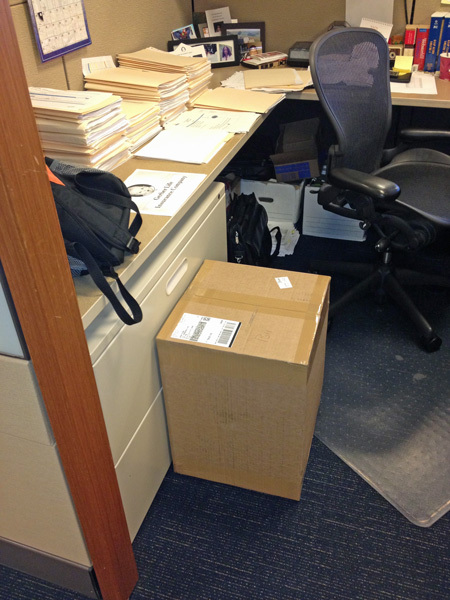 The word Anansi is Akan, and means simply spider. An example of Anansi’s craftiness is given in the excerpt which sees him capturing a nest of hornets. 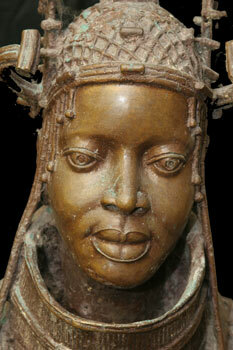 With the trans Atlantic Slave Trade, the Yoruba religion was transplanted in various parts of the western hemisphere. Today it is practiced in a host of different forms. One of these is Vodoun, a mixture of Yoruba, Catholicism, and Freemasonry, in Haiti. It is known throughout South America, the Caribbean, and Central America as Santeria where it is practiced not only by Africans but also the descendants of indigenous peoples (misnomered Indians or Hispanic) that inhabit the region. Worship in the Yoruba religion is based upon the belief in a Supreme Being (Oldumare), the creator of Heaven (Orun) and Earth (Aye); the belief in a multitude of spiritual deities (Orisha); and the belief in ancestral spirits (Egungun). I heard from an acquaintance, of a friend, of a cousin, who has been rumored to be familiar with the 9/11/10 book burning controversy, that an abhorrent and conniving plan was afoot. It seems that in a closed session, with his most trusted advisors, the Rev. Terry Jones and followers, will abort all future attempts at book burning and instead …… delete, and expunge multiple copies of downloaded apps of the Koran from their smartphones… while delivering sermons filled with fiery rhetoric. This workaround although effective, should mightily reduce the chances of a Rushdie like “fatwa” and materially extend the life of the said Rev. I however, along with the rest of the Free World remain outraged and fully expect the Office of the Pope, the President, Angelina, General Patreus, Mickey Mouse, and the few non-rioting Afgans, Pakistanis, and Iranians to renew their efforts to stamp out this obscene case of religious bigotry. In all seriousness however, by virtue of the First Amendment, the Rev. is within his right to burn the Koran provided there is no threat of violence associated with the act. The anniversary of a very sad day in American history thus far has run as a footnote to this sideshow. It seems odd that followers of the Bible and the Koran have so much in common, (arguably worship the same God), and yet continually find ways to create hatred, and distrust. But History repeats itself for there have been many instances of book burnings, and the destruction of religious artefacts. In 1242, The French crown burned all Talmud copies in Paris, about 12,000, after the book was “charged” and “found guilty” in the Paris trial sometimes called “the Paris debate”. This burnings of Hebrew books were initiated by Pope Gregory IX, who persuaded French King Louis IX to undertake it. Since the Church and Christian states viewed the Talmud as a book hateful and insulting toward Christ and gentiles, subsequent popes were also known to organize public burnings of Jewish books. The most well known of them were Innocent IV (1243–1254), Clement IV (1256–1268), John XXII (1316–1334), Paul IV (1555–1559), Pius V (1566–1572) and Clement VIII (1592–1605). In the English Reformation, circa 1526, Cardinal Wolsey presided at a massive burning of Lutheran books. The works of some Jewish authors and other so-called “degenerate” books were burnt by the Nazis in the 1930s and 1940s. Richard Euringer, director of the libraries in Essen, identified 18,000 works deemed not to correspond with Nazi ideology, which were publicly burned. The 1988 publication of the novel The Satanic Verses, by Salman Rushdie, provoked angry demonstrations and riots around the world by followers of political Islam, some of whom considered it blasphemous. In the United Kingdom, book burnings were staged in the cities of Bolton and Bradford. It would seem that power corrupts and future censorship is a given in some form or fashion – the attempt by Rev. Jones has shown that acts of outrageous mischief can be manipulated for self-promotion, and unbelievable exposure, but at least the solidarity against his cause was an encouraging step in the right direction.